When sinners strike, call on THE SAINT! Modern-day Robin Hood. 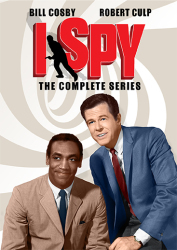 Wealthy man of mystery. Debonair rogue. 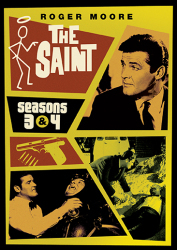 Call Simon Templar what you will, but never cross THE SAINT. 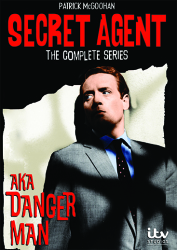 A timeless figure of adventure since his creation by Leslie Charteris in 1928, The Saint has thrilled adventure aficionados with his exploits in a variety of media, including novels, movies, and radio—but nowhere was the dashing Mr. Templar more indelibly realized than in his 1960s television series, presented here in one outstanding collection: The Saint - The Complete Series. 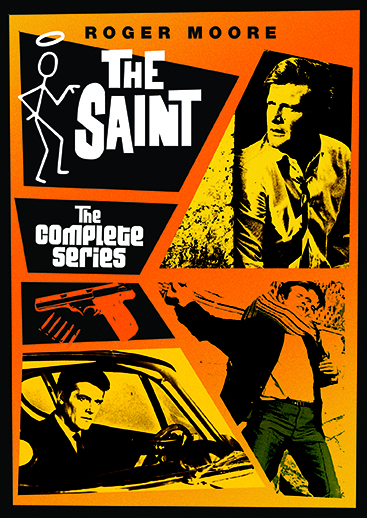 Starring the perfectly-cast Roger Moore as Simon Templar, The Saint was a benchmark in the lifespan of the character, and a stepping stone to Moore taking on the role of an even more well-known man of action later in his career. 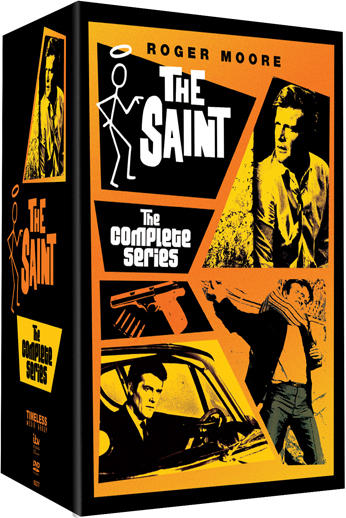 Featuring thrilling acts of derring-do, beautiful places (and people), and a sly wit, this complete set of all episodes from The Saint are a heavenly addition to your collection. 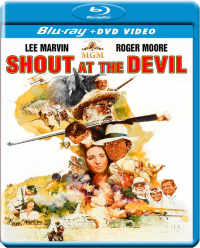 With guest star appearances by Oliver Reed (Tommy, Gladiator), Academy Award-winning actress Julie Christie (Darling, Doctor Zhivago), Donald Sutherland (The Dirty Dozen), Edward Woodward (TV's "The Equalizer"), a bevy of Bondian beauties (Goldfinger's Honor Blackman and Shirley Eaton, as well as Lois "Miss Moneypenny" Maxwell), and many more. Whether you're a longtime fan or a newcomer to the series, it's time to say "Halo!" 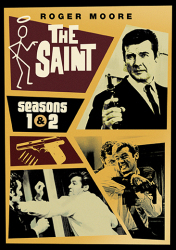 to The Saint.